Over the last handful of weeks, I’ve noticed a concerning trend in the world of physical therapy regarding clinic websites. Seriously. Truly. Honestly. Earnestly. And, imploringly… with no offense to whoever designed it, put it together, etc… SOMETHING needs to be done. This trend is KILLING businesses. Leads are being lost. Opportunities are evaporating. Brands are disintegrating. Okay… maybe it’s not THAT bad. But, it is bad. 1. It looks like it was written to impress another PT. This one is so prevalent, I don’t even know where to begin. I definitely don’t mean to call anyone out. Here’s how things go down. The website basically is written in physical therapy language, with physical therapy terms, in a resume’ish fashion which basically reads in a way which looks like it is trying to impress another physical therapist who would be reading it. It is heavy into treatment categories, credentials (nothing wrong with them at all, they just need to be leveraged correctly to impress the consumer… not another clinician), and basically looks like an 90’s informercial. It looks boxy and rigid, feels that way, and seeks essentially only to inform with the person browsing… rather than CONNECTING with them. 2. All Facts, No Feel. As a result of #1 above, you get “all facts, no feel.” With basically every possible informational piece laid out for a user to browse, it becomes information overload. There’s no story for the prospective buyer to feel out… just a bunch of facts about physical therapy, about the clinic, about “what makes the clinic different,” about how well qualified the staff is, about what insurances they work with, a section for referring providers, etc. It’s a BUNCH of information and generally reads like the user manuals for do-it-yourself furniture kits. It’s a bore. And, users can’t wait to bounce off that site and find some reviews. Which, by the way, is an entirely different post… some of which is alluded to HERE. PS. 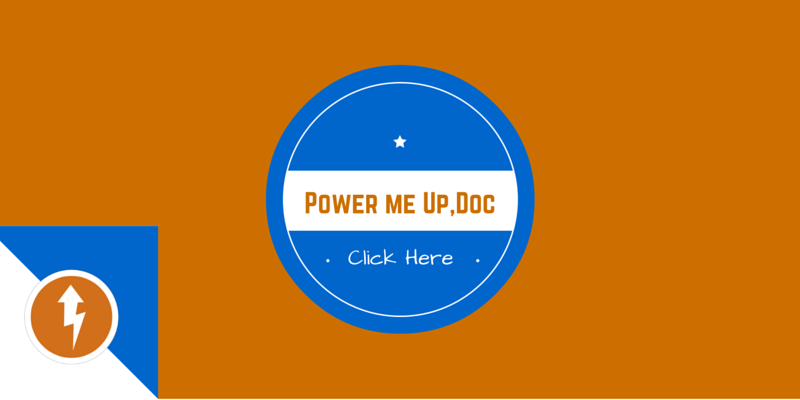 You probably need to get started on this! Be it a landing page, a pop-up email subscription form, or a dedicated scheduling function, so very many clinic websites I’ve been seeing basically have only two borderline & perimeter “actionable” pieces. The first is the contact page (which every one has, so it’s not really special). The second is a social media or social sharing field or button; which again, isn’t special and everyone will check on any way. The biggest problem with lack of actionable elements is this: You are asking your prospective customer to take too many steps to reach the counter for purchase. As with any shopping experience, if you have to go through too many hoops… even if the line is too long, you are more likely to pass and leave the shop (your website) entirely. Actionable features to your website bring active browsing, clicking, signing up, scheduling for appointments NOW. You could even set up a feature to engage with browsing users in a Q&A live chat. ANYTHING that moves the clinic’s website beyond it’s own wikipedia-style-info-page and into to the digital checkout lane is a good thing. Let’s talk mobile friendly, not even mobile optimized. Mobile optimized is another book, in and of itself. But, for mobile friendly?! It’s a low hanging fruit. A quick website redesign, choice of a mobile responsive theme, and organizing your website content in a manner that flows well during a mobile browsing experience is FAR LACKING in most clinic websites. Most of the time, it’s nearly impossible to reach areas of query such as insurance information, what the staff are like, or how to contact the clinic itself when browsing the site on a mobile device. Even more websites have frameworks that are identical during mobile and desktop browsing, making the mobile experience feel archaic, cluttered, and clumsy… emotionally inferring to the potential patient shopping you out, that your clinic would otherwise feel the same way. 5. Not Truly Owned, By YOU! I was not only surprised, I was mortified to find out how many clinics don’t actually own their website. What seems to be the common case is that clinic owners, program managers, etc… hire out to some web development company who charges them a fee to construct a very generic (and terrible) clinic website. Then, the web company is retained for some nominal web maintenance service. To which, if one would look carefully, happens to be conveniently a couple bucks higher than the going monthly rate for web hosting. And, I must ask, “How often are clinics updating their websites?” Basically never. So, businesses are throwing away chunks of cash month-by-month because they aren’t purchasing the site and host, themselves… and, are siphoning away cashflow to “web maintenance” that they never use. By buying through a 3rd party (sounding familiar??? ), clinics have entirely lost control over their websites. And, as a website is one of the biggest elements of a business’ digital footprint… this essentially leads to very little updating, optimization for user experience, or practical relevance to the patients who are shopping you out, hoping to find a connection they trust. If this is sounding all too familiar and becoming terribly concerning, I want to know about it! 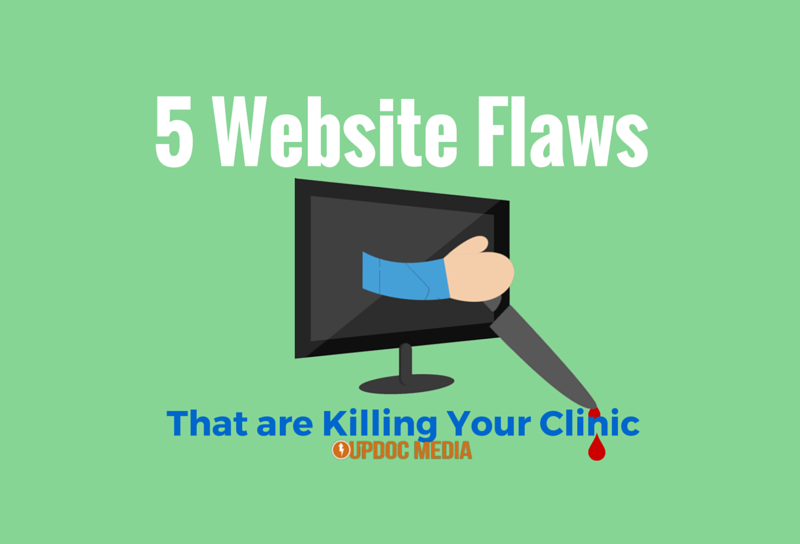 We, the team at UpDoc, want these all too common clinic website flaws to not be the norm, but to be the exception in our profession. We have resources to point you to. We want you to be successful! Wanna chat? We’re all ears!